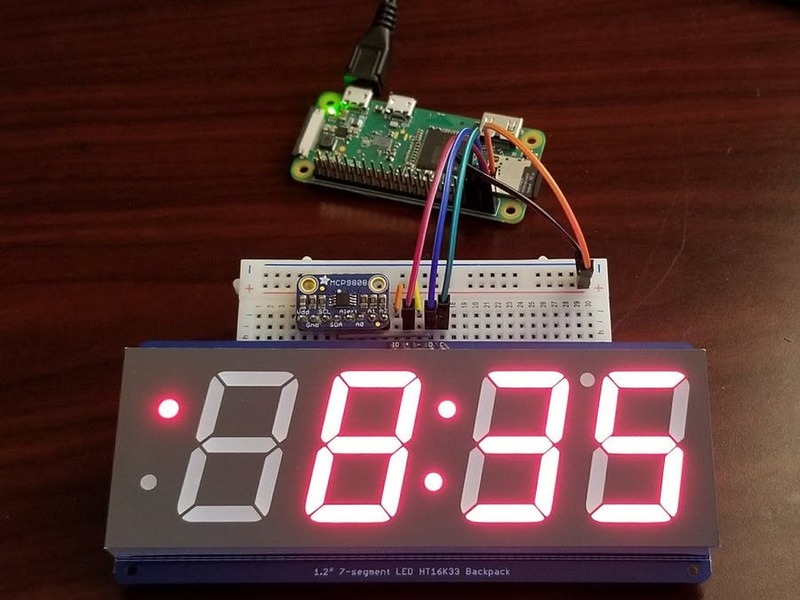 Jeremiah Mattison has taken a Raspberry Pi Zero W, a seven-segment display with I2C backpack and an MCP9808 I2C temperature sensor and combined them to make this digital clock. The temperature sensor takes the temperature inside the room while the Zero W uses the OpenWeatherMap API to get the outside temperature. You can read how he wired it all up and programmed it on Hackster.IO.